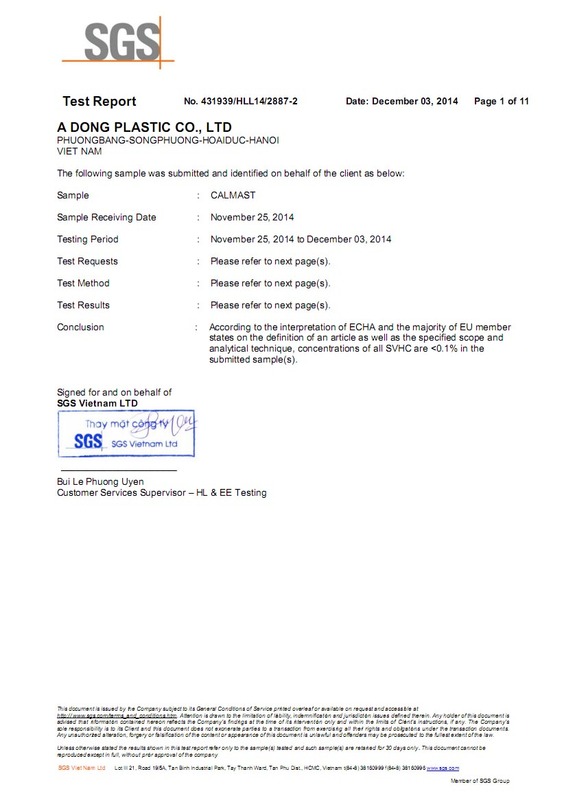 A Dong Plastic is one of the Vietnam leading manufacturer and exporter who specialized in Calcium Carbonate Filler Masterbatch (CaCO3 compound), Color masterbatch, Additives and Compound for plastic industry.Our product has a huge advantage of competition because we are very close to raw material resources. We always apply advanced technologies by skilled technicians.Our range of products can meets various kind of plastic application with competitive prices.Our production is mainly in CaCO3 filler masterbatch for nearly past more than ten years. We now have a customer network nationwide in Vietnam as well as in international markets, such as European, American, Asian, Middle East markets.With long term development orientation, improvement in quality and management continuously for increase productivity but competitive in prices, A Dong Plastic now have 2 factories with 15 production lines which are stable in production for 80,000 MT per year in maximum capacity. Moreover, we are always to promote our business development for both of local and oversea markets for bringing our products to all customers hand. As the result of this policy, we have our branches from across the country and aboard sole agents and dealers in Russia, UAE, Pakistan, Canada...Our motto in production is to accompany with customers benefit. We do believe this guideline in all our business and production tasks which can gain more trust by honored customers. You can satisfy in using our products of CALMAST, COLMAST, ADDMAST which has good quality and can grow your profits and contribute to your success. The ingredients in our masterbatch are approved for use in food contact packaging. No-heavy metal, Nonylphenol, reach REACH standard comply to EU regulation.